Relocation of your home is a huge change in a family’s life and moving is at the top of the list of stressful situations. Do you want to deal with the packing, loading, unloading, driving the truck, and then unloading and unpacking? That’s a lot of very hard work and can be absolutely overwhelming for most people. The professional movers in Frederick, MD offer packing, transport, and unpacking. This type of project pushes some people to their limits but when you turn for help from professionals, they take a lot of that stress off your shoulders. But, regardless of who you hire for your move or if you choose to do it yourself, Blake & Sons Moving want you to be relaxed and confident throughout your entire move. So, courtesy of Blake & Sons, here are some tips you need to know before you begin to plan your home relocation. A professional moving company will bring their own supplies, but if do it yourself, even if only partially, there are definitely some supplies you need to gather and organize during the planning stages of your move. The following is a list of the basic supplies most people use for their relocation. There are shapes and sizes for every different room or object in your home along with the usual small, medium, and large cardboard boxes. Take inventory of your household and purchase the boxes accordingly. Purchase good quality packing tape instead of the bargain rolls. Many make the mistake of buying inferior tape to save money and then later regret it when they find themselves using three times as much tape to secure their boxes. Skip the hassle and buy the high-quality tape instead. Use plastic wrap to keep drawers and cabinet doors in place on dressers, armoires, and other furniture. Secure appliance cords with wrapping and also wrap the entire appliance. You need to add a lot of packing material to your shopping lists like packing paper and bubble wrap. Rather than making another trip to the store when you run out, we recommend that you purchase these in large quantities to shave off some dollars from your total moving costs and ensure that you have enough on hand at all times. You need markers to label your boxes clearly and on all sides to save time when unloading. It seems like a little more work, but when a mover asks you for direction to put down a box, you want to be able to tell them without the hassle of turning the boxes over and around. At that point in time, you will thank yourself for the extra effort and time spent. While it is true that professional movers help you with packing, there are some things for you to do ahead of time that will benefit both you and your movers. For example, you can empty out your cupboards which makes it easier to organize what needs to be packed with what. Also, be certain to pack your personal belongings for the trip and set them to the side before the moving day. There are different ways to organize your things when you pack them. However, a simple rule of thumb is to put like items together in one box whenever possible. Don’t let your move get out of control when people come in and start putting things into empty boxes. This leaves you with an undesired mess when you unpack. For instance, consider the master bed and bathroom. Your box categories might be towels, linens, bedding, lamps, jewelry, vanity items, clothes, and shoes. 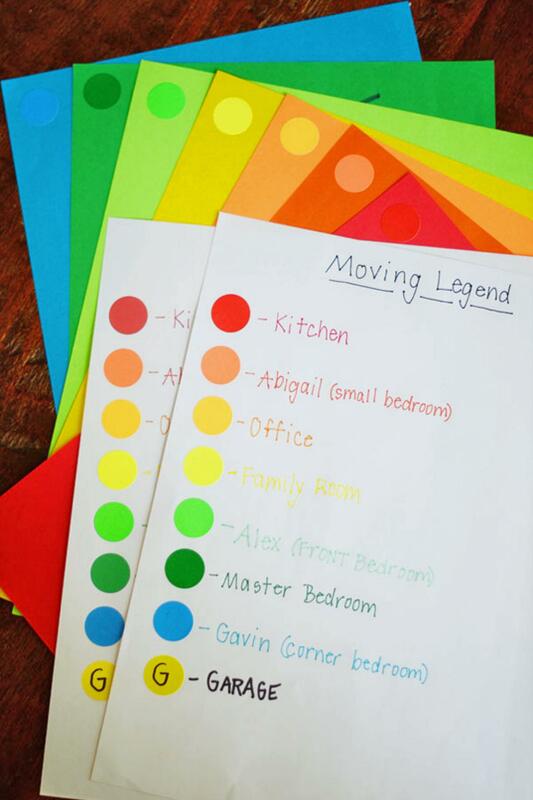 The organization is key when you move so use colored markers and dot stickers to coordinate and organize your packed boxes. 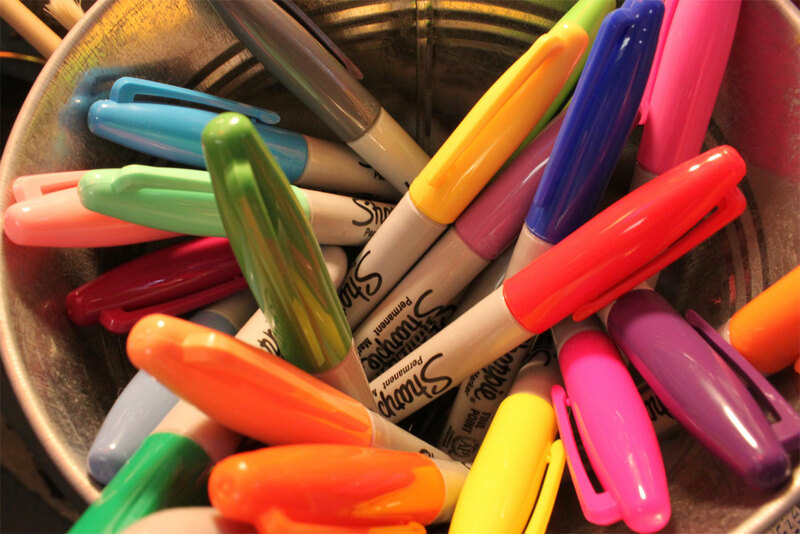 When you’ve gathered your supplies, use these colors to differentiate the categories of your contents. For example, all the boxes that have kitchen products can be marked with green, bedroom boxes with red and so on. This gets your boxes into the rooms easily when you arrive at your new home. Pay close attention to your most precious items and ensure that they are well-wrapped and secure for the move. Also, be sure to check that the contents of your move are properly insured when in transit from your old home to your new home. The professional movers, Blake & Sons Moving & Storage in Frederick, MD are always eager to help their clients with their moves with their excellent full-range of relocation services. We hope you find these tips useful for your next move. We also want to wish you a smooth-as-silk move and the greatest success with your relocation.